Alpesh Patel is the Founder and CEO of Mi-Fone ( BVI ) Ltd. With the launch of the Mi brand of mobile devices in April 2008, he created a new market category in Telecoms within the emerging mass markets. Alpesh is a veteran of the Telecoms industry, starting his career in the early 1990’s by being one of the pioneers in introducing Mobile Devices into the then unknown Chinese market. In the Mid 90’s he then moved back to his home in Africa as Regional Director, Harris Microwave Corporation where he gained immense knowledge of the African Telco arena. 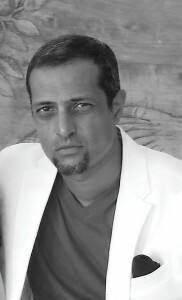 In 2002 Alpesh joined Motorola Mobile Devices as its Regional Manager for Africa where he took the brand to No.1 market share in key markets such as Kenya, DRC, Madagascar and Zambia. He quickly went on to become Motorola’s Director of Sales for Middle East and Africa and was single-handedly responsible for distributing over 5 million handsets within a space of two years. His skill and vast experience within Emerging and Frontier Telecom markets makes him an Industry leader in his field.